SN Nuclearelectrica SA, as a member of World Association of Nuclear Operators (“WANO”) has a strong and active engagement in the world nuclear community, therefore SNN is committed in emulating the world’s industry best practices and standards and delivering excellence in operations and nuclear safety. SNN has recently hosted a WANO peer review, from November 5 throughout November 12, 2018 conducted by WANO Atlanta Centre. This assessment, completed at the request of Nuclearelectrica and undertaken by a team of 25 highly experienced international peers from nuclear power plants across the world, revealed strong nuclear safety performance at Cernavoda. “Nuclear safety is the top priority for Nuclearelectrica. 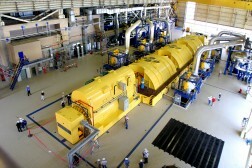 Consequently, we are keen on maintaining a strong all-area level of nuclear safety, namely: operations, maintenance, work management and outage performance, chemistry, equipment reliability, engineering, radiological protection, emergency preparedness, operating experience, training, organizational efficiency and nuclear safety culture. Nuclearelectrica works closely with WANO and with peers from across the world to strive for the highest nuclear safety standards, the newest solutions developed at international level, and with a strong focus on current nuclear safety investments and maintenance and also on personnel behavior with a view to abide by the norms and nuclear safety standards. This is an all-area professionalism-based Romanian performance. 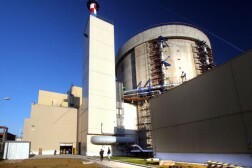 In addition, considering the environmental targets, obtaining and maintaining nuclear excellence in terms of nuclear safety, corroborated with good financial results, as support for investments and development, and clear environmental advantages, it demonstrates that nuclear energy is a strong long-term advantage of the Romanian energy mix”- Cosmin Ghita, Chief Executive Officer. In addition to striving for the highest safety standards in its day to day operations, Nuclearelectrica proactively engages with the global nuclear community through hosting important industry events such as the WANO Site Vice Presidents’ and Plant Managers’ Conference, a gathering of the world’s most senior nuclear operators, which was held in Bucharest in September 2018. As part of this event, Nuclearelectrica provided a site visit to Cernavoda NPP to conference delegates, to demonstrate the company and the plant’s commitment to the highest standards of excellence, benchmarking with the industry at large and adoption of global best practices. 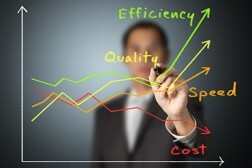 As well, continuous improvement, a permanent objective of SNN, will continue by further developing leadership in order to optimize organizational behavior, constant monitoring of equipment performance and procedure adherence. “SNN/Cernavoda NPP’s ongoing vision is to continuously improve and maintain our performance among the best nuclear power plants in the world. 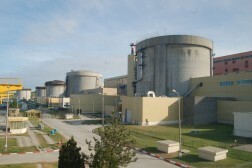 Thus, the areas of personnel training and personnel expertise, pro-active maintenance programs, rigorous planning and on time execution of running and outage activities, current nuclear safety investment prioritization, reaching and maintaining radiological targets way below legal and administrative limits, all showed strong performance in comparison to global nuclear industry standards and practices. All these aspects require 24/7 professionalism, engagement and dedication and an organizational structure optimally functional to efficiently integrate these multiple factors.”- Dan Bigu, Cernavoda NPP Manager. The World Association of Nuclear Operators (WANO) is a not-for-profit international organization that helps its members maximize the safety and reliability of nuclear power plants worldwide. WANO was established in 1989 by the world’s nuclear power operators to exchange safety knowledge and operating experience amongst organizations operating commercial nuclear power reactors. WANO members operate some 460 nuclear units in over 30 countries and areas worldwide. WANO works with its membership to assess, benchmark and improve performance through mutual support, exchange of information and emulation of best practices.